Since the initial launch of the Playstation Vita, fans of the system have been craving a top of the line first-person shooter. We’ve seen entries from both the Resistance and Call of Duty series, but each shooter that we’ve seen to this point has been an utter disappointment. With such a void in the first-person shooter marker for the Vita, can Killzone Mercenary showcase a quality experience? Simply put, Killzone Mercenary is the game that Vita owners have been wanting. Even if your interest in the series is minimal, enough is done right in the preview build we played to feel that Guerrilla is taking the correct approach with the game. In Killzone Mercenary, you play the role of, well, a mercenary, who has been hired after the events of the first game in the series. Each kill and mission you complete will ultimately earn you cash. As you earn bigger payouts, you’ll be able to upgrade your equipment and weapons to help you tackle each mission. As a bonus, the unlocks you earn in the campaign portion of the game will also carry over into multiplayer as well. The demo that we were sent contained a single level which tasks you with fighting your way through enemies, turning a few switches on, and making your way to extraction. With a rather well-designed level setup, you’re able to approach each situation using your preferred playstyle. Whether you’re a fan of the stealth, pick & pop, or guns blazing methods of approach you’ll be able to find a way to utilize them. As you progress through levels, you’ll have the option to upgrade your character. From your weapons to adding gadgets, it helps you prepare for how a certain level is playing out. If you’re finding that a certain approach is working better than others, or you are just tired of playing a certain way, these stations allow you to play how you want. The controls of Killzone Mercenary can be a bit of a concern at times. While the majority of the blame may able to be put on the analog sticks of the Playstation Vita, there will be a bit of frustration at times caused by the game. Aiming seems to be fine in close quarters when using a weapon like the shotgun, but aiming medium to long range is where the problem can be noticed. A feature that can help with longer range aiming is actually turned off by default, however. After turning on the motion-assisted aiming in the options you’ll find it a bit easier to handle. When encountering enemy foes, you’re able to assassinate them via a button command or motion gesture. If you choose to go the gesture route, you’ll be asked to swipe your finger to match the direction on the screen. From stabs in the face to a knife in the groin, there’s enough variation here to keep a smile on your face and to make you want to assault an enemy up close. 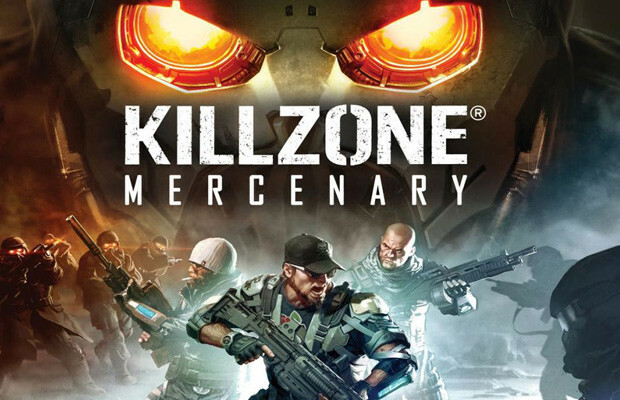 While the Vita still seems to be in its infancy, Killzone Mercenary looks to be a game that helps live up the the “portable Playstation 3” promise we heard years ago. The color and environments may not be the most memorable at times, but it’s hard to argue against it being one of the best looking games on the Playstation Vita. While there’s still a bit of time to go until the release of Killzone Mercenary, it’s shaping up to be a quality release. If Guerilla can keep a mix of great level design, challenging enemies, and a good bit of content coming to the multiplayer aspect of the game then fans will be in for a treat. With only a month to go until the release of Killzone Mercenary, Vita owners appear to be in the system’s definitive shooter experience.